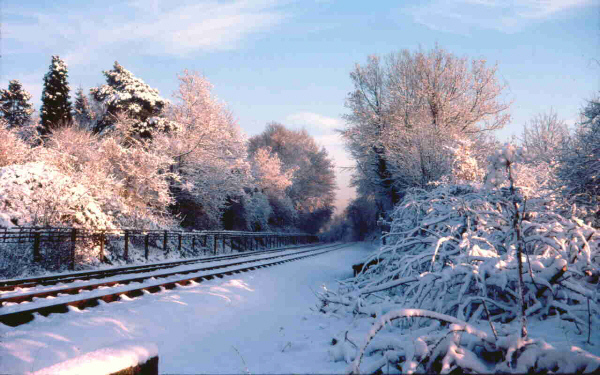 A few minutes later an Aylesbury-bound train came along. 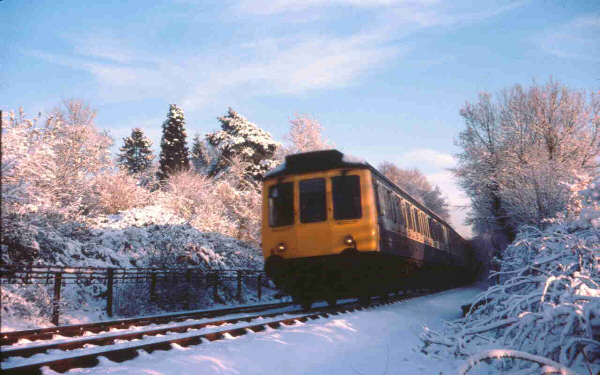 Unfortunately the shutter wasn't quite fast enough to "freeze" the train. 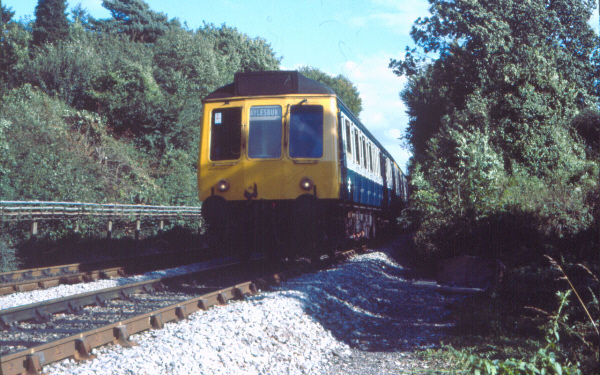 In 1983, an Aylesbury bound train approaches the foot crossing Although the track is not electrified at this location, it is still the responsibility of London Underground and is believed to be the only public foot crossing left on the Underground network. See here for more details. 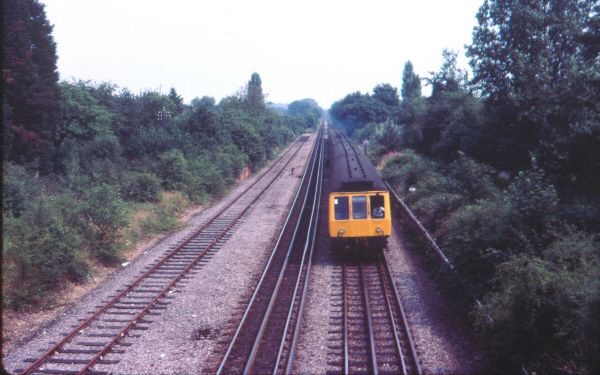 1982, looking west from Hyrons Bridge. 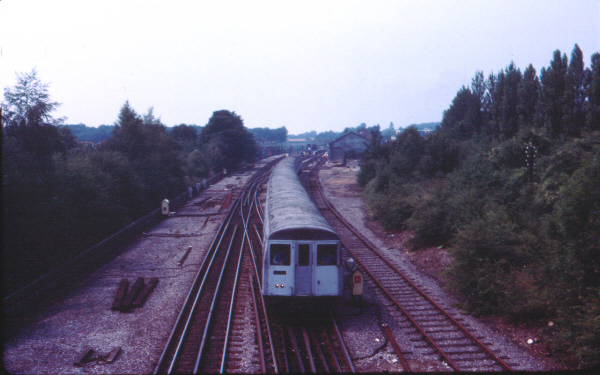 An A60 set has just left Amersham for Baker Street. 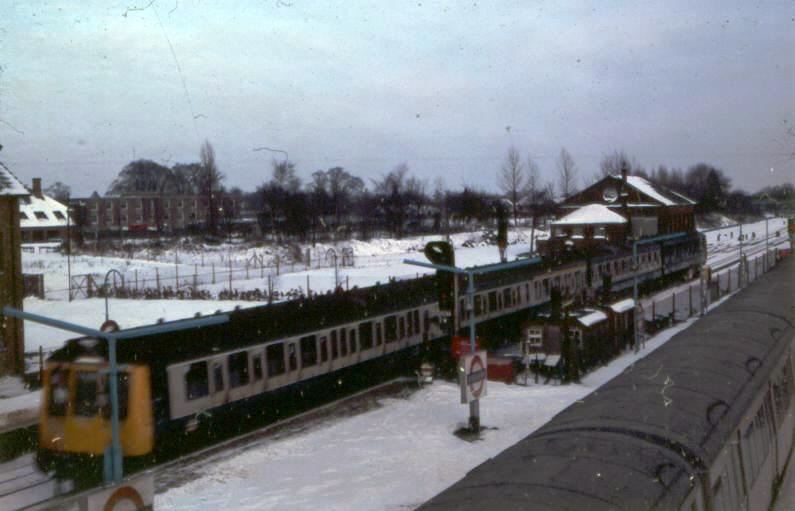 An undated scene at Amersham station during winter snow.